2009 July « GASTHAUS: got 'kraut? 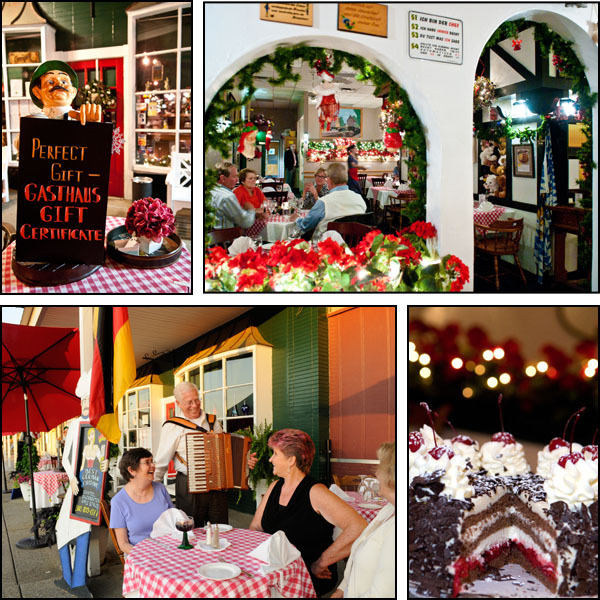 The Gasthaus will be closed starting Sunday, August 2 and will reopen for business Tuesday, August 18, 2009. We apologize for any inconvenience caused and look forward to seeing you again soon. Saturday, August 1 we are open as usual! Last Friday 40 guests, former students at an American high school in Wiesbaden, Germany visited the Gasthaus for a class re-union. They came from all over the US to meet here in Louisville. While enjoying their food another guest, unrelated to this group, asked about the class re-union group and discovered that she, too, had attended the same high school only 7 years after this group had graduated. What a coincidence! Here are some pictures guest Greg Holton made of the group, thanks for sending me these to upload! Last week the Jane Austen Festival took place at the nearby Locust Grove . SOUP: Creamed Cauliflower soup with cubed Chicken Breast and a hint of curry.